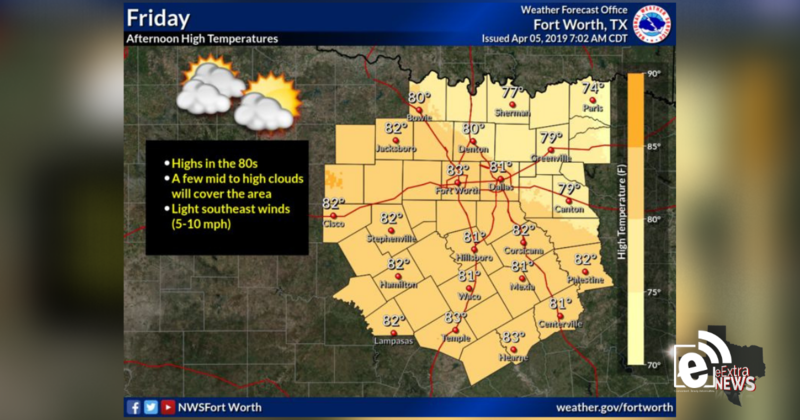 After morning clouds and patchy fog, Friday will be partly cloudy (a few mid and high clouds) and warm. Highs will be in the mid-70s to mid-80s, with southeast winds 5 to 10 mph. Rain and thunderstorm chances will increase after midnight tonight. No severe weather is expected. Overnight temperatures will fall into the upper 50s to upper 60s. Winds will be out of the southeast at 5 to 10 mph.